Here at SnapPages, we've done our best to make it as easy as possible to create a website. Unfortunately, helping you get visitors to your website isn't as easy. That's why we're starting a new blog series to help get you on the right track! The first topic we are tackling is the mystical and magical world of SEO. If you aren't really sure what the heck SEO is — or if you think you do but you're still looking for that large button labeled "SEO" that you can mash to boost your Google ranking — then this is the guide for you! 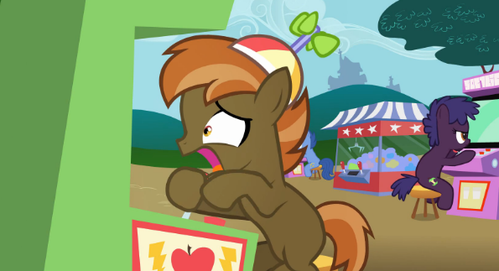 (On a side note, I typed "button mash" into Google to find an appropriate image, and all I got was a bunch of My Little Pony images. SEO FTW!) I'm working in the lab on that big SEO button, but in the meantime, I'm going to do my best to give you a quick introduction to what SEO is, why you should care, and how to get started. SEO stands for "Search Engine Optimization". What's that? You don't even know what a search engine is? Do you know how to "google" something? Google is an example of a search engine. You type something into the Google search bar, and then Google tries to find what you are looking for. The goal of SEO is to "optimize" your website so that when people type "How do I groom a shih tzu?" (it's harder than it sounds) into Google (or another search engine like Bing or Yahoo! ), the website for your mobile dog grooming service will show up. One of the most important things to understand about search engines as it relates to SEO is that it's their job to find content that is both relevant AND helpful for its users. The more helpful people think a search engine is, the more people will use it. The more people use it, the more advertisements it sells. The more ads it sells, the more money it makes (you get the picture!). SEO is all about trying to convince these search engines that your website contains the relevant and helpful information that people are searching for! That one simple trick to boost your ranking! 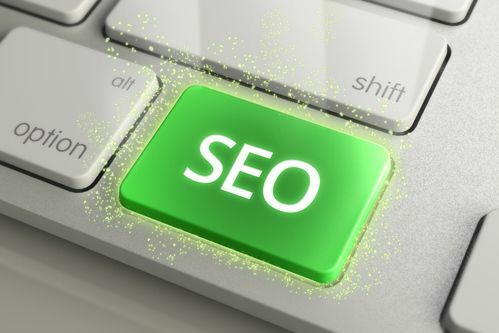 So now back to that magic "SEO" button that you can mash. You are having a hard time finding it because it doesn't exist! You have to understand that SEO is not a one time action you can take — it's an ongoing process. To give you an example, it's similar to the difference between planting and gardening. Ever tried to plant something only to come back in a few weeks and find out that it's dead? Gardening is more than just planting — it's watering, fertilizing, pruning, and more. With SEO, you can't just throw in a few keywords and call it a day. Anyone that tries to sell you on the idea that there is one simple trick to boost your rankings is playing one simple trick on you to boost their bank account. The best way to convince search engines that you have relevant and helpful information on a certain topic IS to actually have relevant and helpful information on that topic. Tricks and other spammy techniques will almost certainly backfire on you as search engines are constantly penalizing websites for doing these sort of things. You might get a quick boost out of these spammy practices, but it will hurt you in the long run. A lot of SEO techniques might come and go, but the safest thing you can do is to create great content on your website. For instance, if you are starting a coffee shop, creating a website that has some basic information about your coffee shop is a good start. Be sure to clearly state somewhere in your content what you are and where you are. That way when someone does a search for "coffee shop in Georgetown," a search engine knows that you are exactly what the person is searching for (a coffee shop in Georgetown). This is what it means to optimize for "keywords." Think about what you would search for if you were looking for your business. What would you type in? Whatever it is, make sure that this exact phrase is used throughout your website's content (in a natural way). Show them you are important. You think your business is important, and so do we! Unfortunately, Google doesn't know this yet. You have to prove to them that you are relevant and important, and links are a great way to do this! When other websites link to your website, it shows search engines that you are more important, and that will positively affect how they rank you. What's more, links from other sites that have great SEO are even better! Think of it as another reputable friend vouching for you. A great way to get started is to have an active presence on social media and get your site listed on local review sites (like Yelp). Also, if there are legitimate business directory sites in your city, try to get listed on those as well. Doing these things will create links back to your site. Whatever you do though, DO NOT BUY LINKS! If someone is offering to go off and create a bunch of links to your site, do not do this. It's spammy and will get you penalized in the long run. Search engines have made it their mission to know the difference between legitimate links, and which ones are from spammy trolls. If they think you are the latter, they will destroy you! I know this is not the world's most comprehensive how-to on SEO, but hopefully I've helped you understand what it is and have given you a few tips to get the ball rolling. Just remember that there are no shortcuts here. Investing the time and energy to create helpful and relevant content is hard, ongoing work, but if you want your website to grow, that's what it takes! Bonus Tip: Linking to other high ranking sites, can also help you out. See what we just did there? I hope can get more better and easy to do. also how to using "SEO" .. I think that this is about the best way to explain seo in a small paragraph. How to videos, exact phrasing, and links from brands you trust. As a beginner I would say it helps, but as you may imagine, showing them that I am important is not simple. Questions like who are you...will always be made. But good Job for posting this. As the competition is raising high on the internet, the importance of SEO is also increasing. SEO is a tough thing for most of the people. Those who are just heard about SEO, they have lots of misconceptions and confusion. This article will definitely help those who are beginners in SEO. Thanks for the excellent post. Keep up the superb work.